In spite of the war by Kiev against the Donbass, the Donbass continues to ship coal to Kiev. Why? 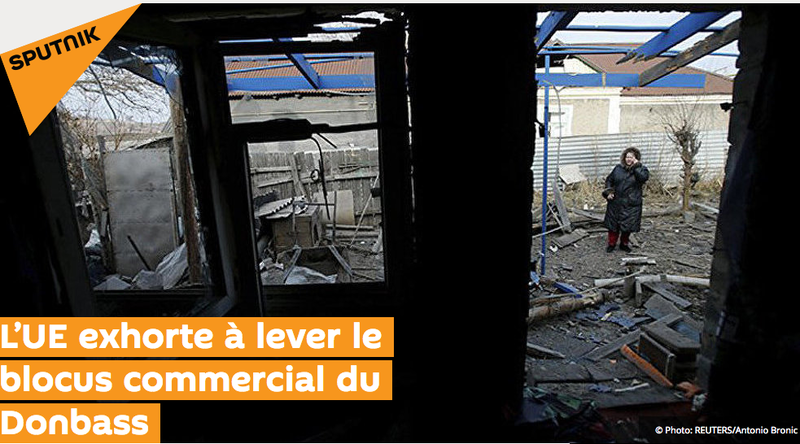 Because the Donbass people know it would be suicidal to stop. The Rada deputies and veterans are suicidal and don’t care if they take the whole country, the whole region, and really, the whole world with them. That’s what will happen if the nuclear reactors blow up due to a grid shutdown. 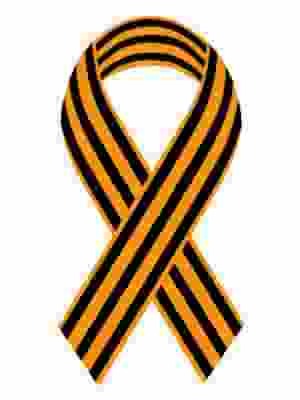 All the Ukrainian ultra-nationalist neo-Nazis in Canada and elsewhere will not escape that disaster. Neither will U.S. military, CIA, or State Department cookie deliverers, their children, or their loved ones, wherever they are. Those with sanity have to take control of this situation, and stop these mad people before they kill everything. 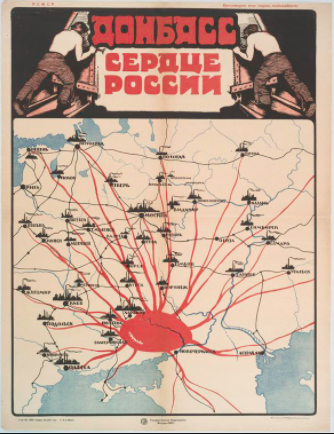 “Donbass, the Heart of Russia.” 1921 poster has two coal miners at top, and the map serves well today to show how suicidal blocking the coal trains was. Faced with the prospect of revolving power outages in Ukraine, the European Union has at last taken note of the commercial blockade of the Donbass, with Kiev no longer receiving the anthracite coal absolutely necessary for the Ukrainian power stations. b) is likely to trigger an energy crisis in the country, warns the representation of the European Union in Ukraine, adding that the organizers of the blockade must immediately lift it. The blockade of the railway connections with Donbass started at end of January, when a group of veterans of the volunteer battalions participating in the hostilities, with deputies of the Supreme Rada (Ukrainian parliament), blocked traffic on the railway line. The organizers of the blockade claimed that any trade with the self-proclaimed People’s Republics of Donetsk (DNR) and Lugansk (LNR) was illegal, and that all goods transported were therefore contraband. The railway blockade has led to problems in getting anthracite coal from the Donbass, causing difficulties in Ukraine’s energy sector. As a result, Kiev is already considering revolving power cuts in most parts of the country.